Do you have any DH poles I could borrow? Got any extra 218s kicking around? Just wondering...do you have any Viking horns to spare? 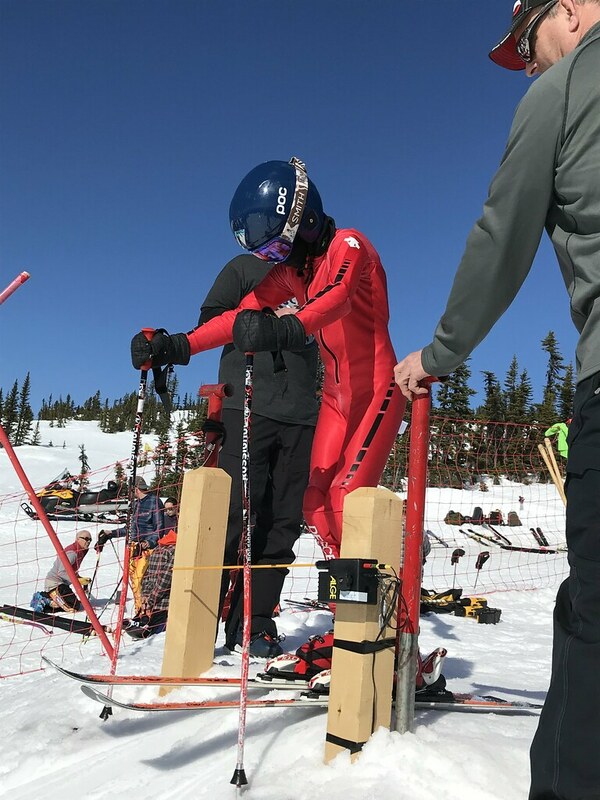 Every Spring since 1984, the search for gear ensues as people ready themselves for Canada's longest continually run recreational speed event, the Schuss Boomer Downhill at Hudson Bay Mountain. 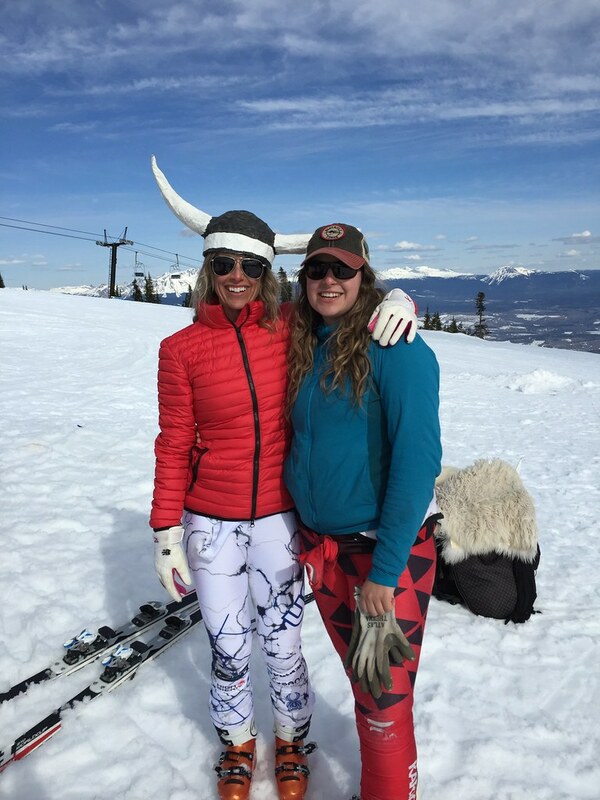 Hosted by the Smithers Ski & Snowboard Club, the Club's biggest fundraiser of the year is a highlight for many BC Alpine Alumni. You may not have seen your former teammates or coaches all year, but they'll surely surface to help install B-net or show up for a warm up run down the track. An all-inclusive event, the Schuss Boomer is a chance for present-day SSSC team members, never-ever-raced-before folks, skiers and snowboarders of varying abilities, snow-bladers and the most competitive bunch, our BC Alpine, North Zone, and Smithers Ski Club present-day athletes and alumni to test their mettle as they launch from the same start ramp. Ages 10-99 welcome! The biggest advantage of being ski racing alumni is perhaps you've already got DH skis or at least access to a pair, a haggard speed suit (albeit stretched to near blow-out), DH poles (in highly sought-after early 90s purple), a hunk of mystery wax and residual skill from the club level or even Europa or World Cup. The worst aspect of being an ex-ski racer? Relying on the above to get the job done. Gear and experience may give you an edge, but you can’t win on that alone. The need to carry speed is critical in this event, therefore you want to weigh more than the next guy - so have some extra gravy with that mountain of poutine! Photo left: Coby Hall - Nice Start! 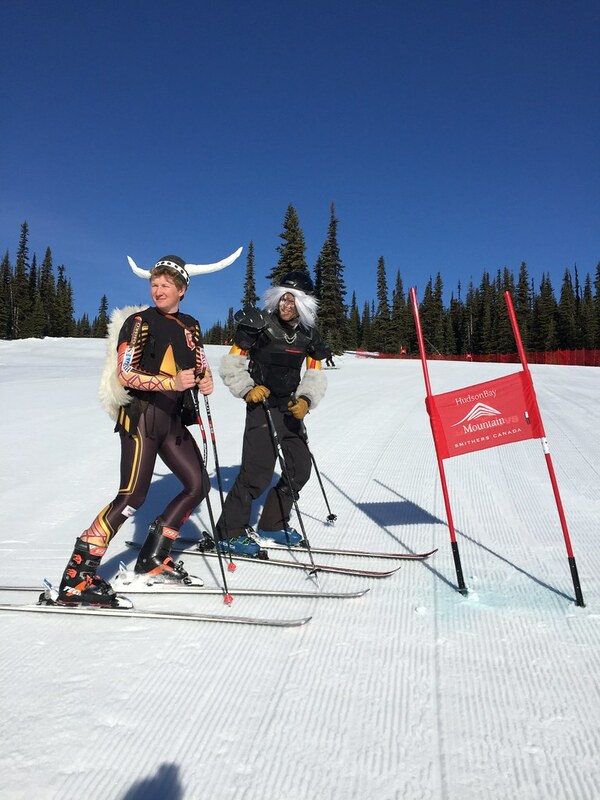 This year, March 30, 2019, we were graced with sunshine on a warm, spring day, running 79 athletes of all ages and abilities out of the start gate for two runs. 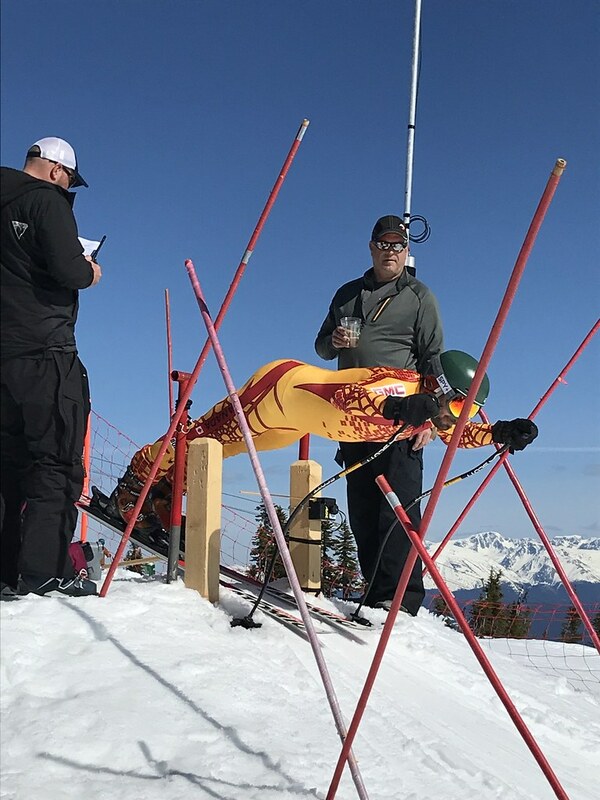 With twenty athletes in the Competitive Category vying for top spot, it was a tight race with only 6- tenths of a second separating the top 3 skiers. 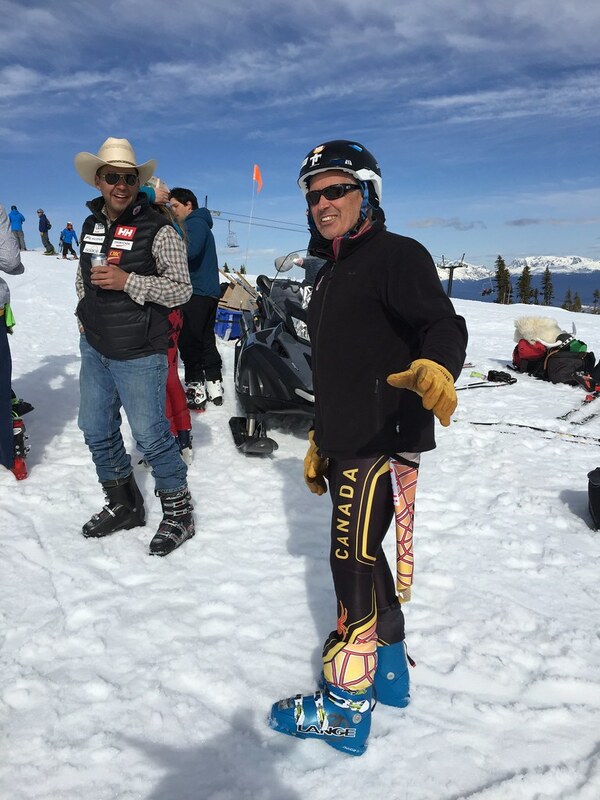 THANK YOU SPONSORS, for your tremendous support of the 35th Annual Schuss Boomer Downhill held Saturday March 30, 2019. The generous support of you, and individuals in and out of our community contributing to this event, have again made this a very successful event!